The skateboard is comprised of two major parts – a deck and a truck. Oftentimes, people put a lot of emphasis on the deck and don’t pay much attention to the truck, even though that’s arguably the more important part that affects how the skateboard rides. There’s a wide range of skate trucks nowadays, all of which are created to fit the specific requirements of all types of skaters. In order to get the one for your skateboarding needs, you need to know how skateboard trucks are built and what to look for. First and foremost, when looking to buy skate trucks, you need to consider their width – they should have the same width as your board or be slightly narrower. It should be that way so that the center of gravity doesn’t shift to one side of the deck, which is important for performing flip tricks. 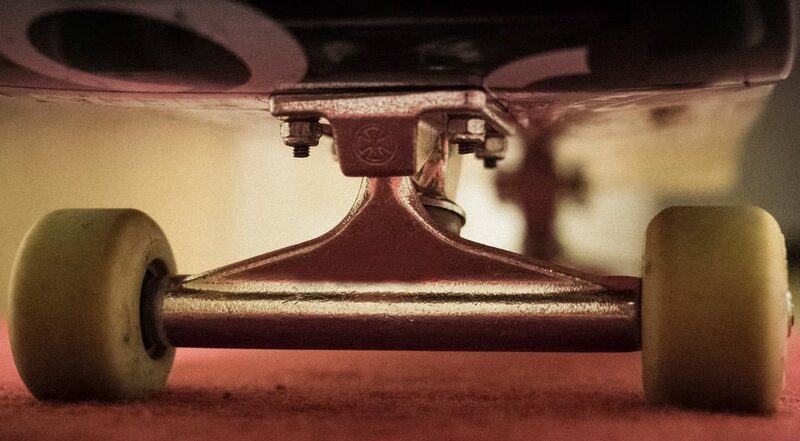 Generally, the width of skateboard trucks is indicated by their hanger (inner) width. However, there are no standardized skateboard truck sizes, so you might see conflicting numbers if you’re looking at trucks from different manufacturers. Next, you have to consider the height. There are three basic types of truck heights – low, mid and high. The difference between the three of them isn’t very apparent, but however minimal the height difference may be, it will impact the way your skateboard rides. As a general rule of thumb, the higher the truck is, the more the tail will have to be pushed down for pop-offs. As a result, the board’s angle will be steeper, and higher pop-offs will be possible. Higher trucks are more practical for tall people, while lower decks are the preferred choice of shorter people. That being said, kids are better off with lower trucks. Similarly to the width, when you’re looking to buy skate trucks, you won’t find industry standards regarding truck height. Low trucks are typically 46-49mm off the ground; mid trucks are 50-53mm, and high trucks are 54-58mm. However, when buying a brand new skate truck, you should also probably buy new wheels as well. Generally speaking, the wheel size should be 4-6mm larger than the truck’s height. But the ideal wheel size is also influenced by the type of riding you will perform. For instance, cruiser boards ride better with larger wheels, while trick boards perform better with smaller wheels. 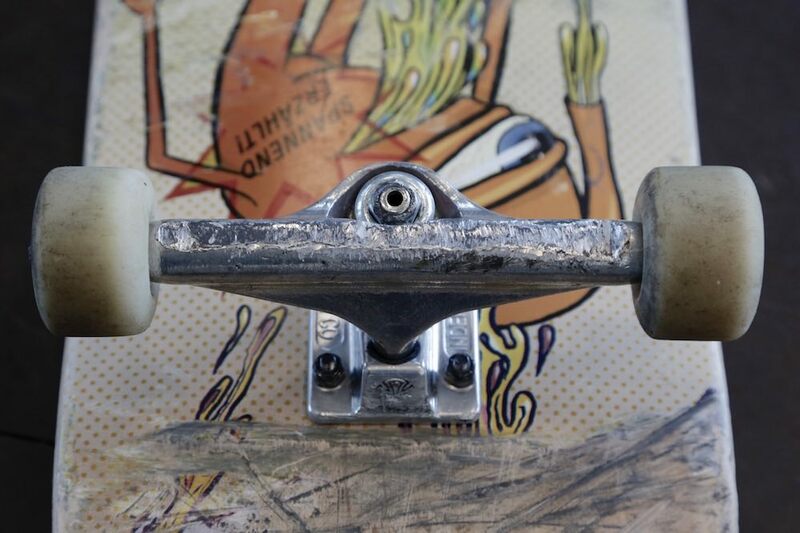 Some of the most popular skateboard truck manufacturers include Ace, Independent, Rogue, Thunder, Luxe, Rogue, Standard, Venture, Silver, Paris, Theeve, Fang, Caliber, Arsenal, Gullwing, etc.